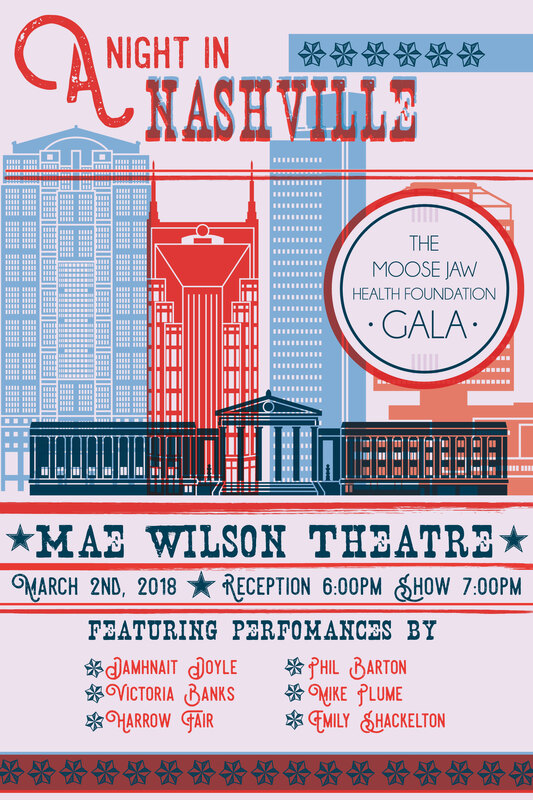 The Moose Jaw Health Foundation Gala – “A Night in Nashville” takes place on Friday, March 2nd at the Moose Jaw Cultural Centre. Music City comes to Moose Jaw for one special night as seven of the best songwriters in North America perform the songs they have written for Johnny Reid, Reba McIntyre, Lee Brice and many more. Funds raised will help cancer patients at the Dr. F.H. Wigmore Regional Hospital. Your ticket includes a dazzling reception with unlimited refreshments, amazing hors d’oeuvers and scrumptious desserts. Hurry as this event will sell-out. Tickets are $75 dollars at the MJ Cultural Centre Box Office or on-line at www.moosejawculture.ca. To avoid disappointment please get your tickets early as this event will sell-out quickly. A limited number of V.I.P.sponsorships are available.